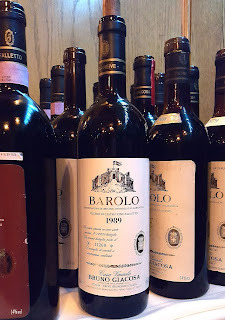 In comparison to many of the collectors I know, my experience with Barolo is relatively short. 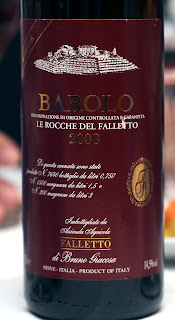 It was only eleven years ago that I was pulled into the world of Nebbiolo. I was warned by others that it could happen, that I might be entering into a hobby that would become a lifelong obsession. 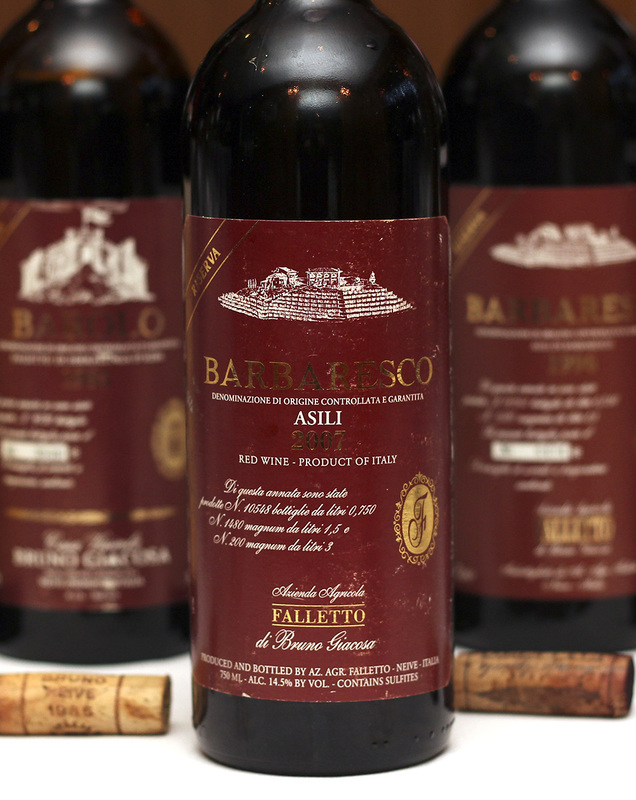 The world of Barolo and Barbaresco is vast, and the unique experiences depend on so many deciding factors. The soil, the climate, the exposition, and altitude are just the beginning. When you take it to the next level, you see that the lists of vineyard names and unique qualities of each one can fill a book--in fact, they have. Then you look beyond that, to the vintage, the winery, the winemaker, the style and the passion. You start to realize that with each wine you acquire and enjoy, you are further embarking on a journey to understanding how a bottle of fermented grape juice can be so moving, or simply stop you in your tracks. That’s the magic of Barolo and Barbaresco. The history of this region, and how it came to be, is just as important as the factors which decide what the experience will entail. From that living history, we come across the names of producers who have shaped the entire region, and what we perceive to be the greatest experiences we’ve encountered. 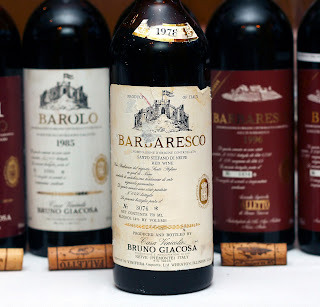 From that list of names, one person who stands out for his pioneering spirit, insights, and unique abilities, is Bruno Giacosa. Bruno Giacosa didn’t learn his craft studying enology at school. Instead, at the age of thirteen, Bruno began working in the cellar with his father and grandfather, who made their business producing wine that would be sold in demijohn instead of being bottled at the winery. This wasn’t a family of farmers turned winemakers; this was a family of grape brokers who had established long-lasting relationships throughout the region. The experience of touring landscapes of the surrounding villages with his father helped to shape Bruno and hone his most valuable asset, that is, his ability to source the best fruit for both Barolo and Barbaresco. Located in Neive, Bruno took the reins of the family business in 1960 and immediately began bottling wine from what would become some of the biggest named vineyards in the region. 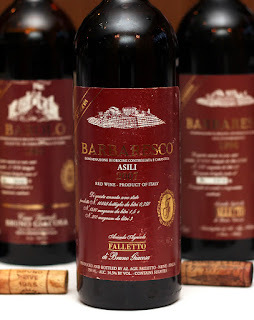 His first vintage was 1961, when he bottled a Barolo (with fruit from Falletto) and a Barbaresco (a mix of Gallina and Santo Stefano). Before long, this culminated into the release of vineyard-designated wines, starting in 1967, at a time when few producers saw the winds of change on the horizon. Along with producers like Angelo Gaja and Alfredo Currado (Vietti), Bruno Giacosa began to pave the way for Barolo and Barbaresco as we know it today. The one thing that he didn’t have was his own vineyards. Even with Bruno’s skills of sourcing the best fruit, he watched as farmers became winemakers, making the best vineyard sources more difficult to acquire. Without skipping a beat, and always ahead of the curve, Bruno purchased his first vineyard in 1982, the one which he has been accredited for making famous: Falletto di Serralunga. Over the years, he would go on to buy more parcels, taking pieces of Asili and Rabaja in Barbaresco; yet through that time, Bruno continued to source fruit, but only when it was up to his standards. Many Barolo collectors lament over the loss of Giacosa-bottled Villero and Vigna Rionda--and in more modern times, Santo Stefano. However, it was Bruno’s quest for the utmost quality that drove him to create the wines that we know and love today. In the greatest vintages, we would be treated to the release of his epic red label riservas. In the poor vintages, Bruno would simply declassify his fruit and sell the juice in bulk. 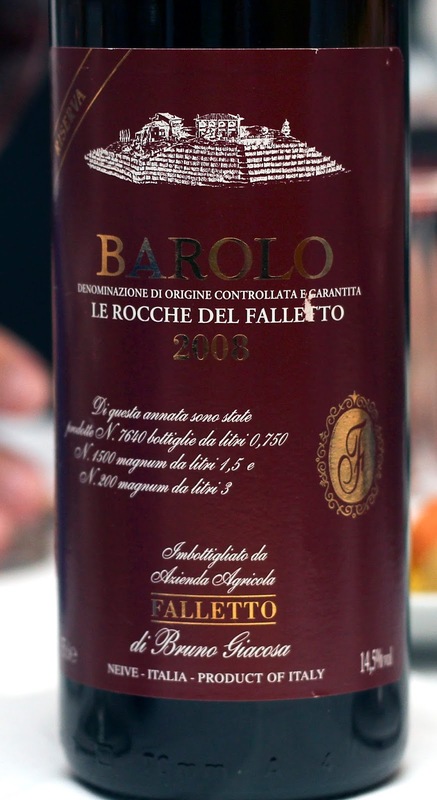 To this day, lovers of Barolo and Barbaresco hunt for leads that could explain where this wine went to. As for the style that defines the house of Giacosa, it is often referred to as traditional. Yet this is by no means a stark traditionalist approach. Instead, Bruno wanted to make great Barolo. The broadest way to describe this approach is with macerations around 30 days long, fermenting in stainless steel with moderate temperatures, and aging in large Botti of French origin. That said, I’ve heard stories of this approach varying over time. But does that really matter? In my opinion, it does not, because the fact remains that these are some of the greatest wines that were ever made from throughout the region. Unfortunately, Bruno suffered a stroke in 2006, which was followed by the temporary loss of his highly talented oenologist, Dante Scaglione. With her father’s health in decline, Bruna Giacosa (Bruno’s daughter) stepped up to the mantel, and what followed was a period of unevenness. 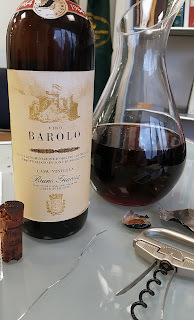 However, with Dante back in the winery, Bruno back on his feet, and his daughter at his side, I have high hopes that the Bruno Giacosa winery will be back on top once again. This all leads to December 12th, 2016, at a restaurant in New York City named DeGrezia, where a table full of some of the most passionate Barolo collectors I know, Antonio Galloni among us, built our lineup of Bruno Giacosa. 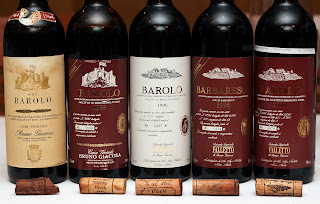 The tasting nearly spanned Giacosa’s entire history, from the inaugural vintage all the way to 2008. You can imagine the anxiety that filled us all, even weeks before the event. I can attest to my own personal health, which had been in decline the previous week, and how hard I worked to get myself back into condition, because this was not a tasting to miss. In fact, this was the experience of a lifetime.